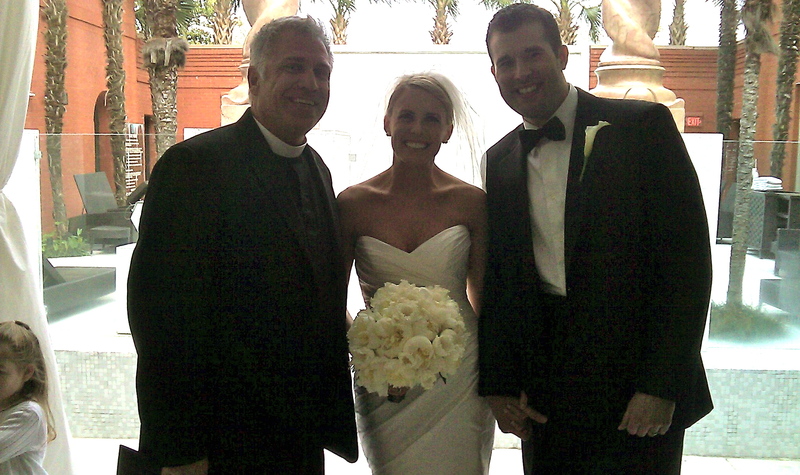 An amazing couple this evening at the Mansion, the just married Mr. and Mrs. Kevin and Melissa Kelly. Not only are they a beautiful couple, they have wonderful personalities! I’d met with them a while back. And one of the qualities I found so enjoyable were their personalities. Their personalities were out of this world! They were happy, had a good sence of humor and we/are so much in love!! Tricia Huddas and Company were the coordinators and those ladies did a fantastic job! Thank you Genina and Stephanie for making everything run smoothly! I asked the film crew, “when can we expect this to air?” It will be in the summer/early fall episodes.